Daryl Johnson (Worcester Park, United Kingdom) on 15 April 2010 in Architecture and Portfolio. Lovely capture of this wonderful architecture! Again, that effortless harmony with Nature that is the hallmark of your work. This is just sensational. The man walking through the frame adds such perspective. Love this architecture. really lovely shot! nicely captured! You are taking us along on a nice walk with a view, thank you! Outstanding angle to capture the castle from. 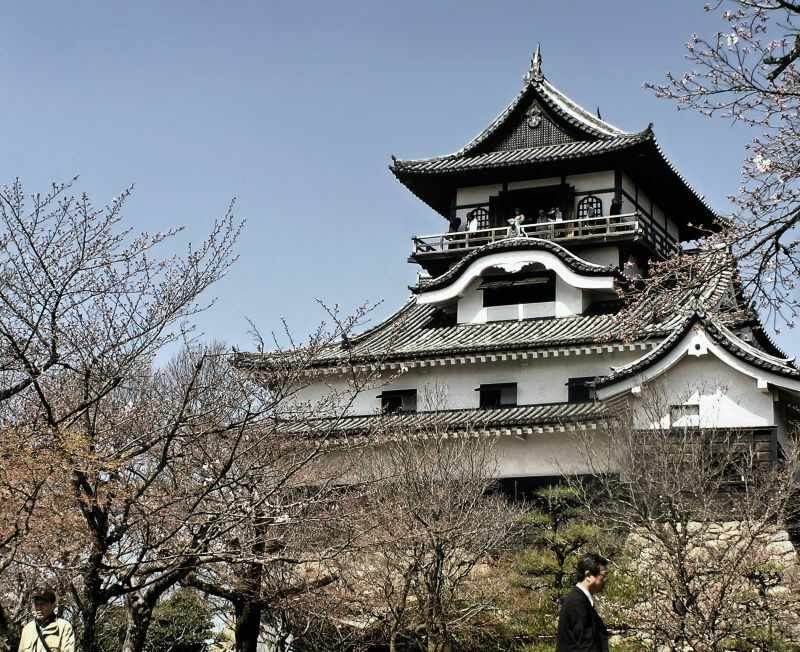 It is imposing, proud and majestic all at once, qualities that were probably "must have" for feudal Japanese castles. Love these smaller, provincial castles.